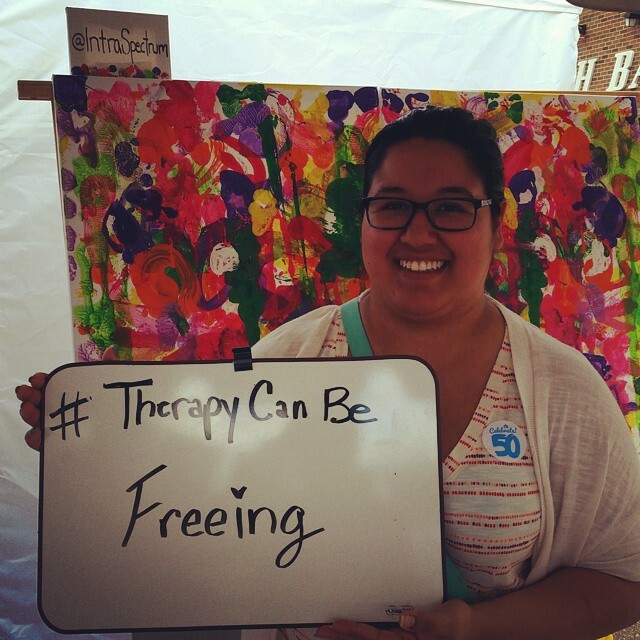 For LGBTQ individuals, stigma about our queer identities and stigma about seeking mental health services can be a source of shame and fear. 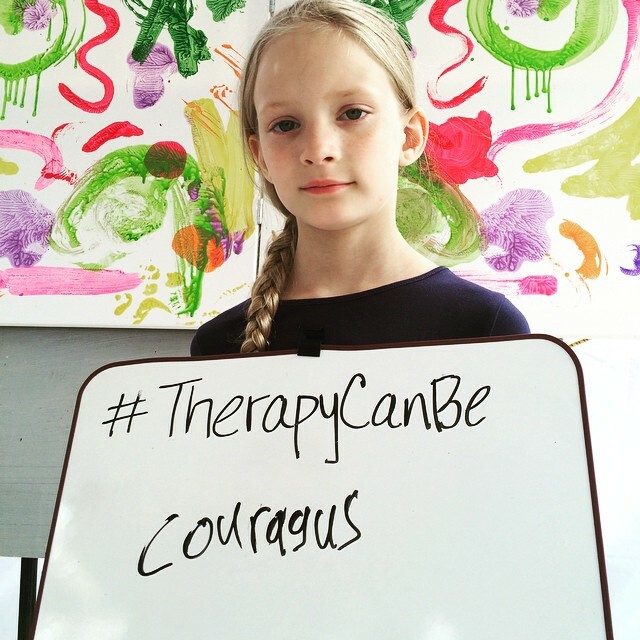 This double stigma marginalizes our complex spectrum of emotions, and can keep us from becoming fully proud of who we are. We talk in depth about embracing negative emotions in our most recent article Becoming Fully Proud. 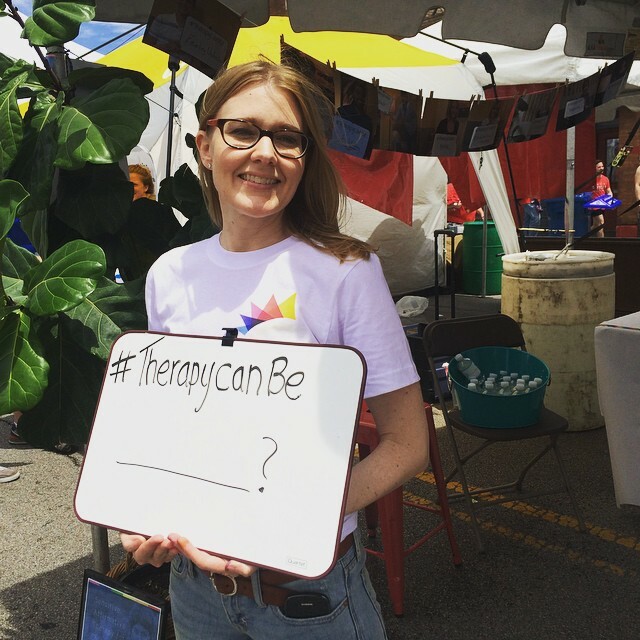 As part of our mission to “Help You Become More You,” IntraSpectrum teamed up this Pride Month with the local Andersonville community to fight mental health stigma and build pride in psychotherapy’s role in helping us become our authentic selves. 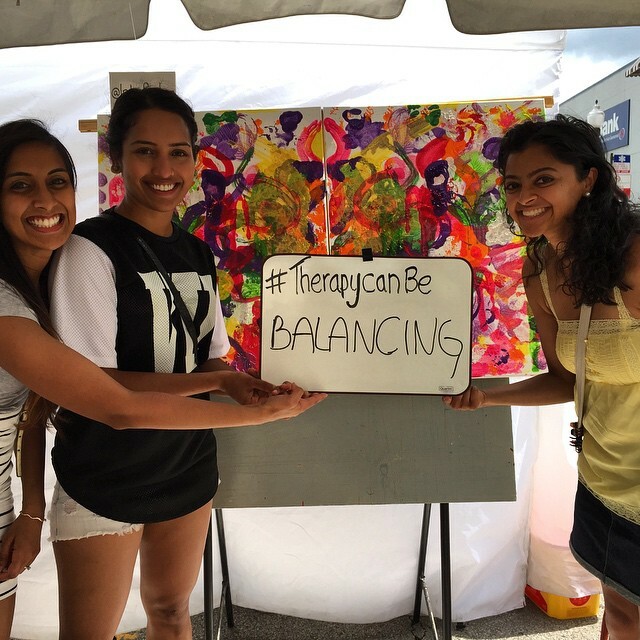 In our festival tent at Andersonville Midsommarfest, we welcomed the community to join us in a fun, meaningful, and bold exploration of what #TherapyCanBe. 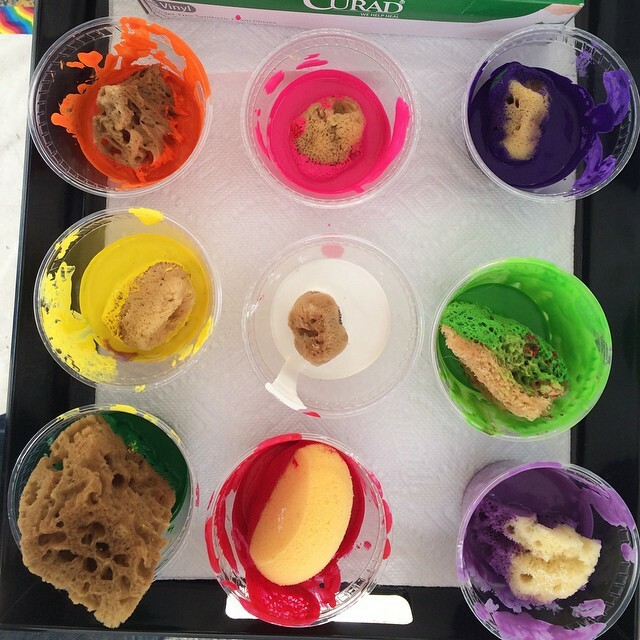 Playing with rainbow-soaked sea sponges, participants stepped forward and made their blots upon our huge white canvas. 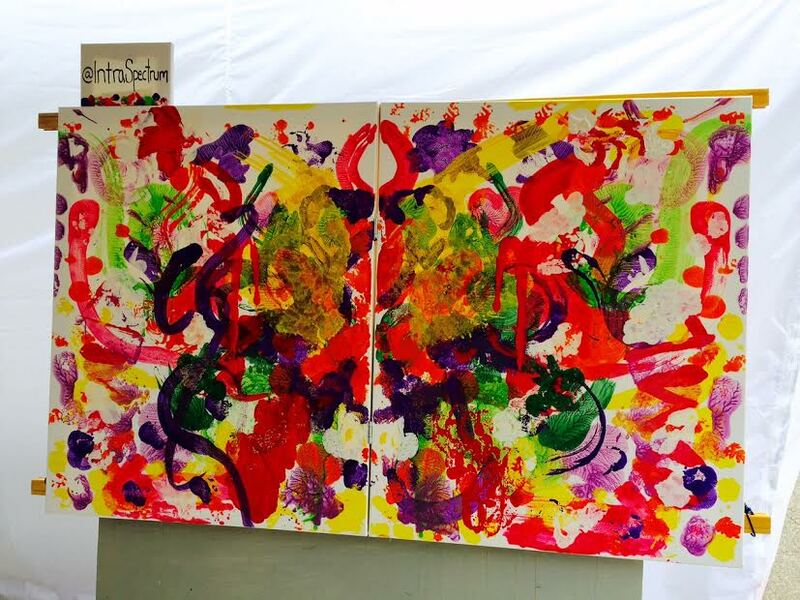 Staff helped participants press the folding canvas together, and open it back up to see the symmetrically displayed, freshly-wet paint blot. 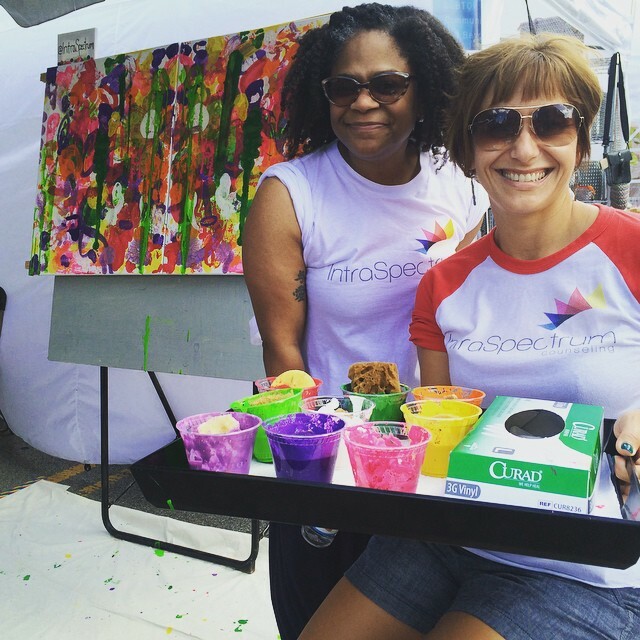 This communal art project was a rainbow “ink blot,” a lighthearted take on the famous Rorschach test, traditionally used to bring to light repressed parts of one’s unconscious mind. 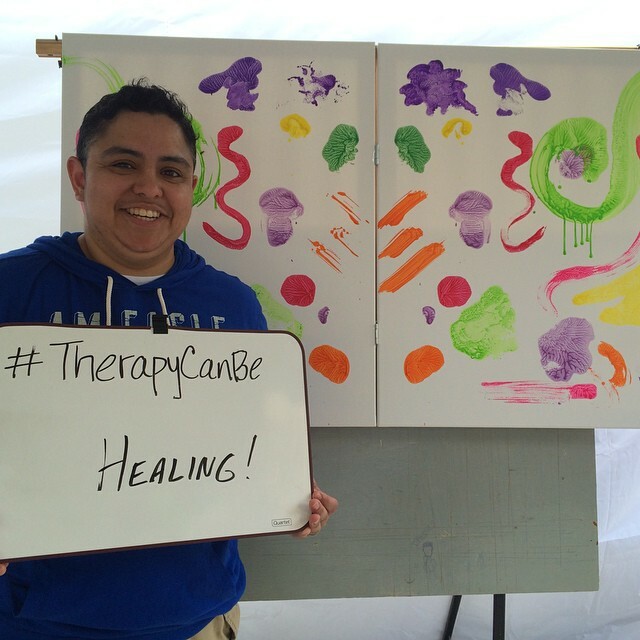 Picking up a white board and dry erase marker, participants contributed their positive thoughts, feelings, and attitudes about what #TherapyCanBe. 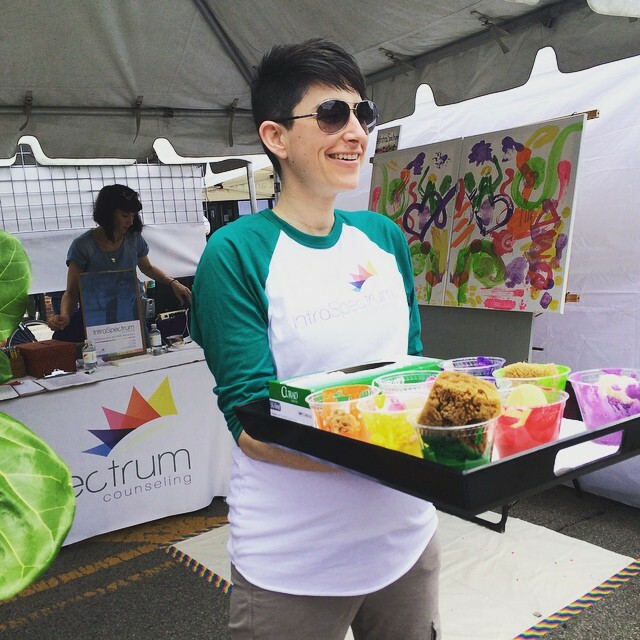 The number of community members and visitors who stepped up deeply moved our IntraSpectrum staff. 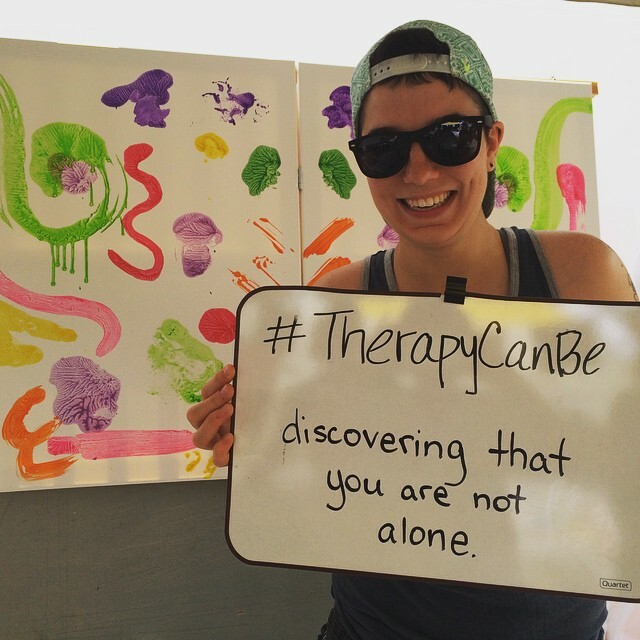 It was incredibly powerful to witness person after person add their blots to the communal art project and words to the social media campaign, sharing how therapy has or might enrich their lives as part of a larger self-care routine. Their messages rang out loud and clear. 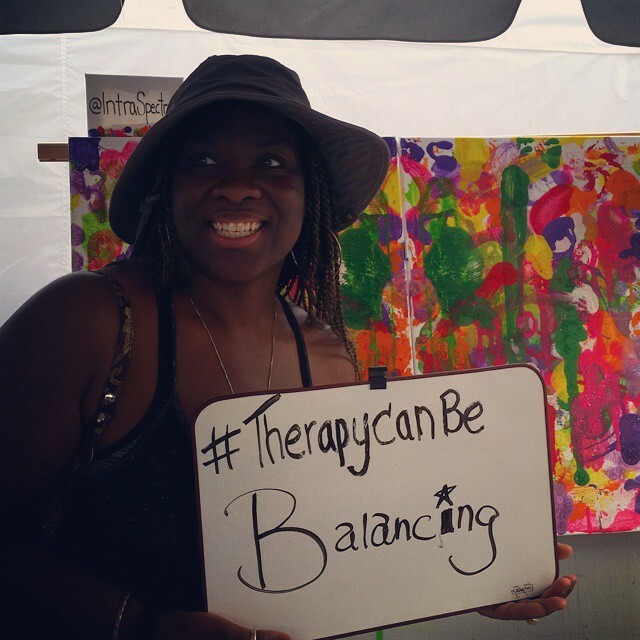 Andersonville’s community made it known that therapy can be “healing,” “affirming,” “necessary,” “balancing,” and even a “life-saver.” With community members’ permission, staff took their photos and posted them live directly to IntraSpectrum’s Instagram and FaceBook feeds for the wider community to enjoy. 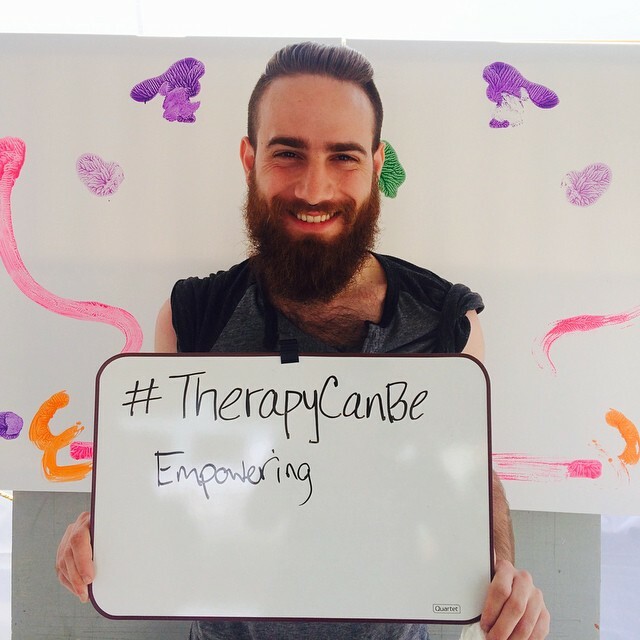 As this historical Pride month closes, we are thrilled to have so many community members contribute to a project that celebrates the act of making all parts of ourselves more visible and embraced. 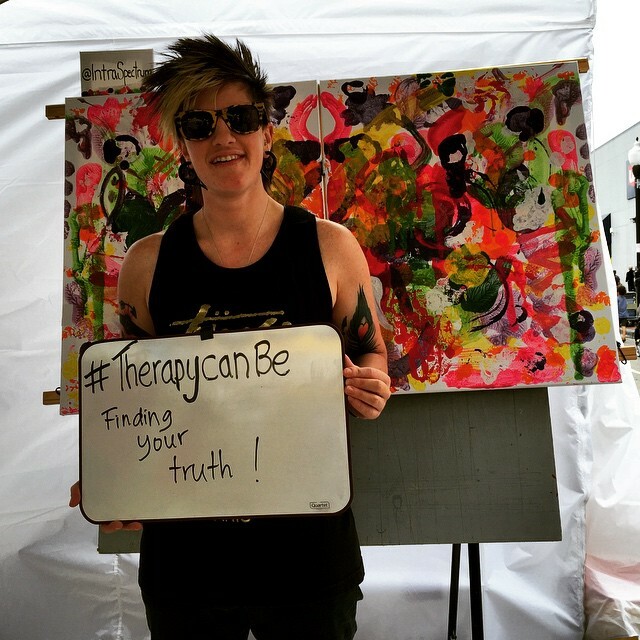 Such enthusiastic engagement affirms that our identities as LGBTQ people are healthy, authentic, and shame-free, as is our choice to utilize psychotherapy as a self-care routine for supporting our mental health. 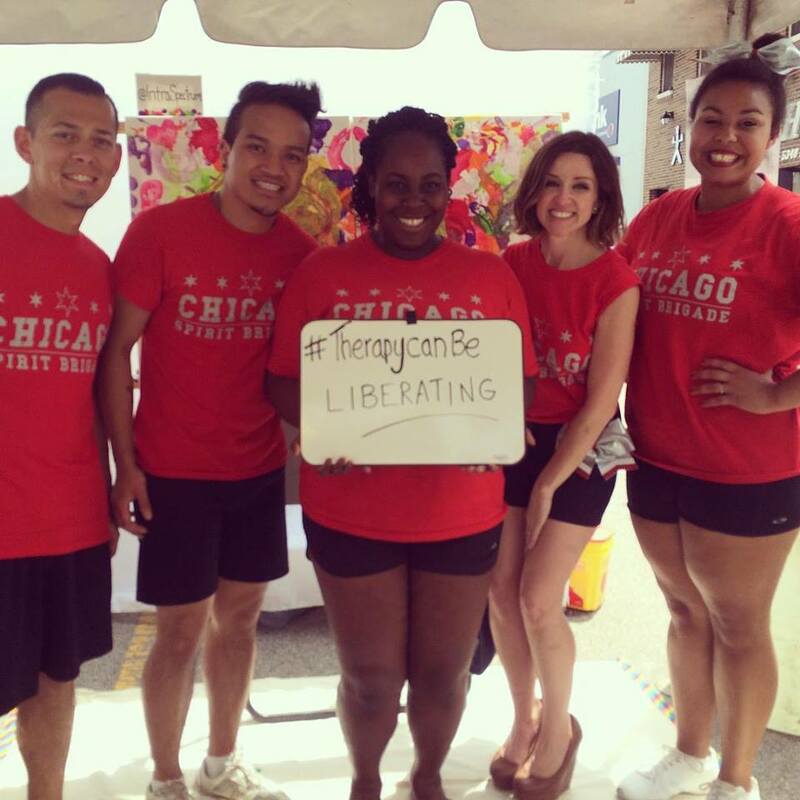 As July begins, please take a moment to visit our Facebook page and look at some of the other wonderful submissions that you and other members of the community contributed during Midsommarfest. 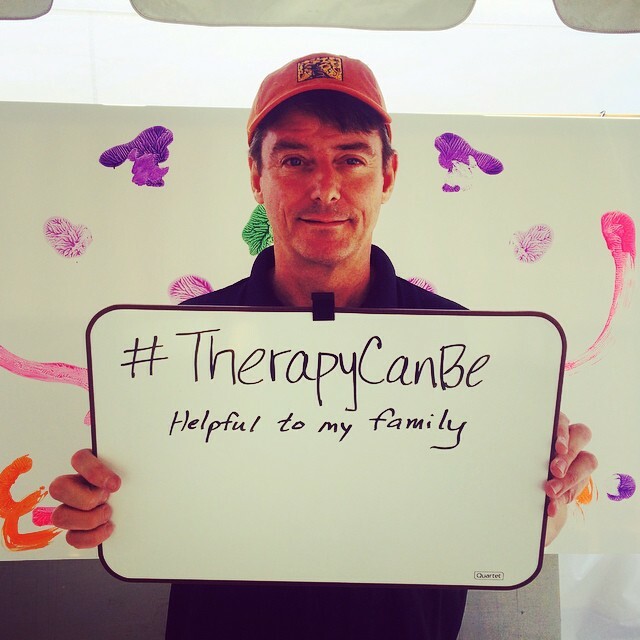 We invite you to join us in spreading this important message about what #TherapyCanBe. 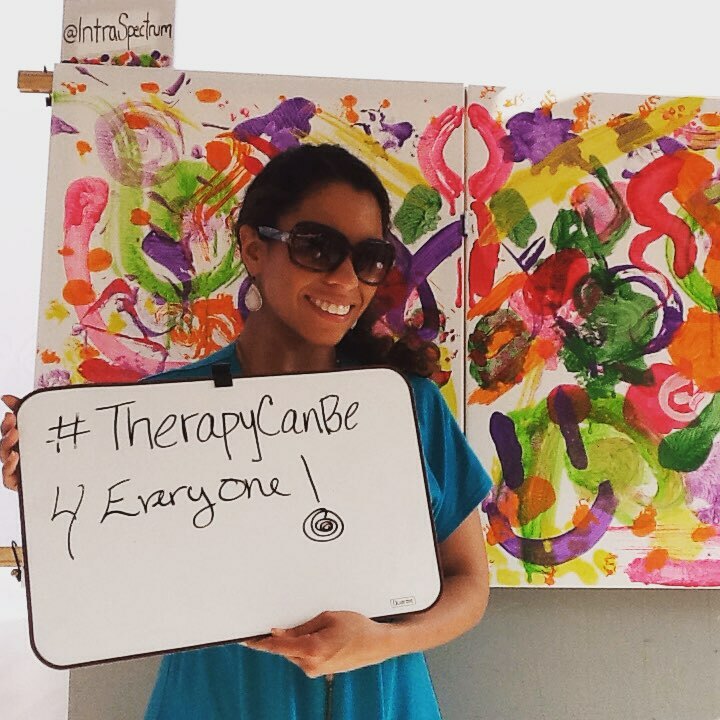 Help fight stigma against mental health by sharing this on Facebook, and/or by contributing your own submission to our Facebook Album and tagging @IntraSpectrumCounseling and #TherapyCanBe. 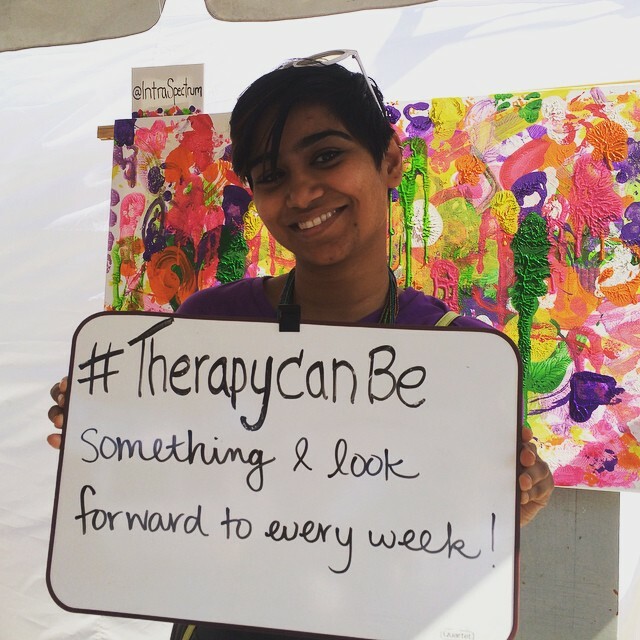 Again, join us in spreading this important message about what #TherapyCanBe. 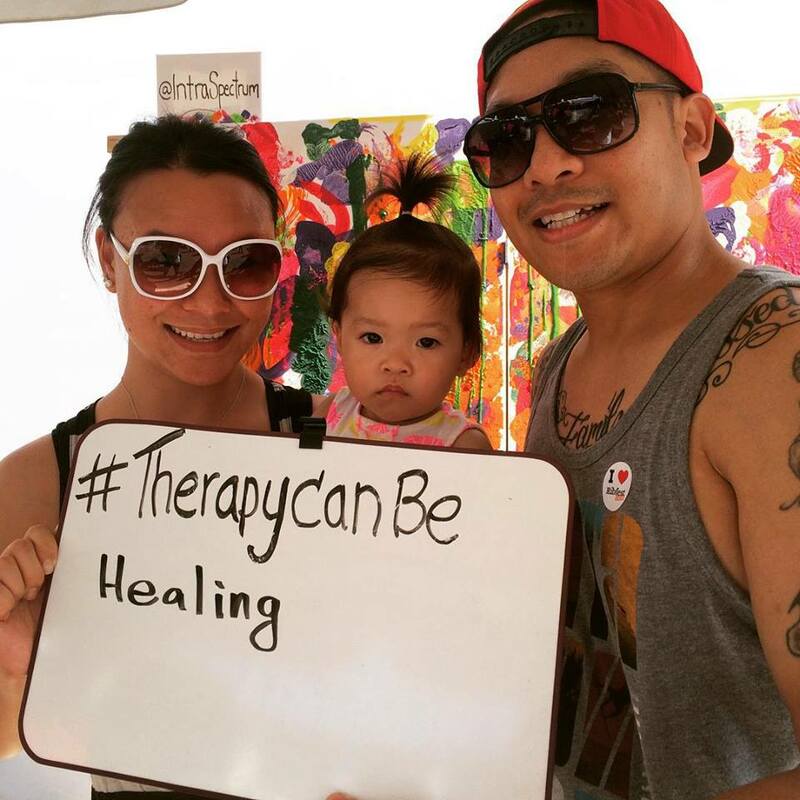 Help fight stigma against mental health by sharing this on Facebook, and/or by contributing your own submission to our Facebook Album and tagging @IntraSpectrumCounseling and #TherapyCanBe.